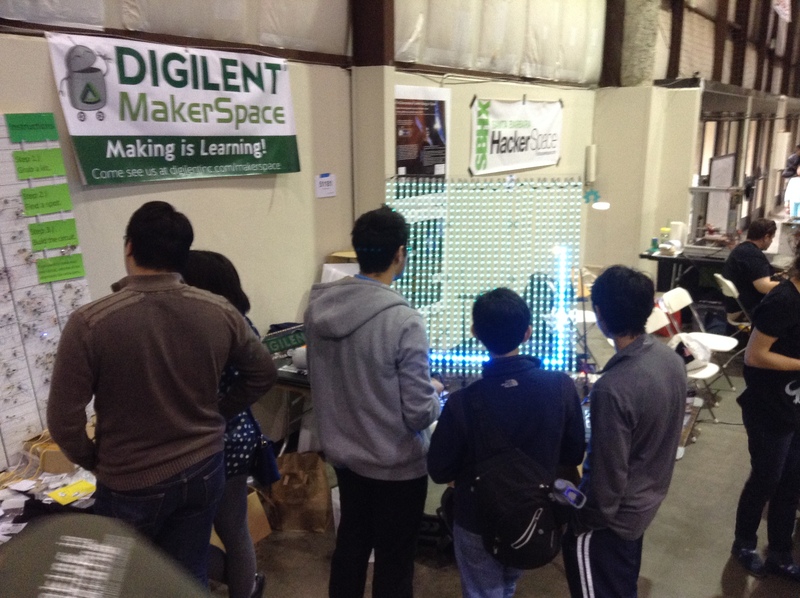 The MakerSpace at Digilent made its way down to San Mateo armed with multiple fun projects we have been working on. One of these projects was the 900 LED Grid. 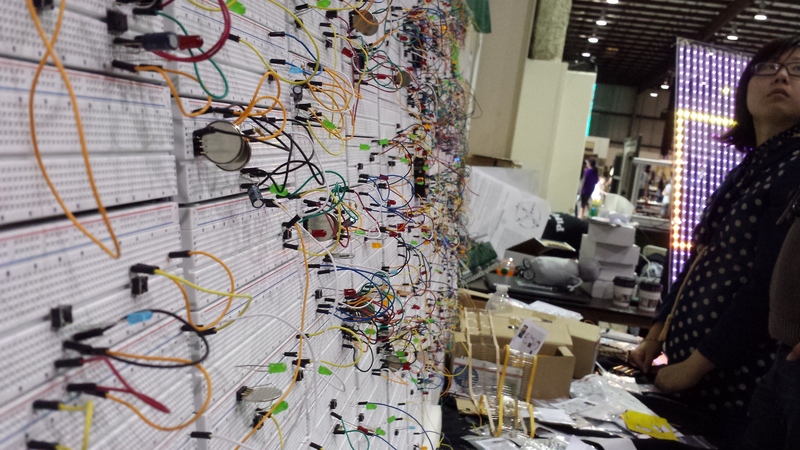 This project was a fun and interactive piece to our booth that was very popular with Maker Faire patrons. The grid was running the Snake game and can be found in this Instructable. The Instructable goes into the process of building the grid and some of the ins and outs of coding Snake. The grid hardware was built by James Colvin and Brandon Marcum. 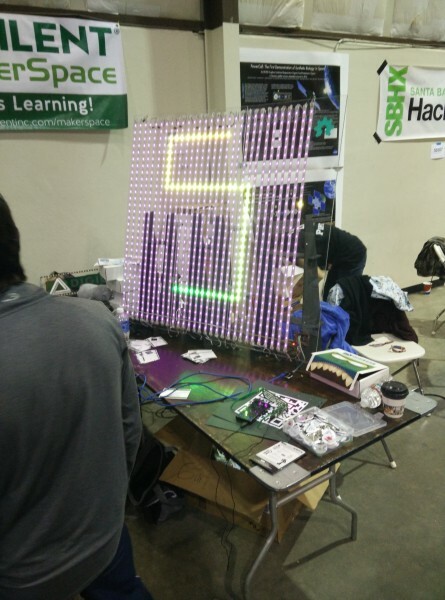 It consists of thirty WS2812 strips connected in parallel, the plexiglass backing, and the stand. The board uses Marshall Wingerson’s PICxel library that can be downloaded here. With the PICxel library dealing with the LEDs, Tommy’s and my task of coding Snake became much easier. The full project can be downloaded here. We chose to use the chipKIT uC32 board instead of the Uno32 because of some memory limits we hit in the design. However, with some work, there is no reason the Uno32 shouldn’t be able to run the program. 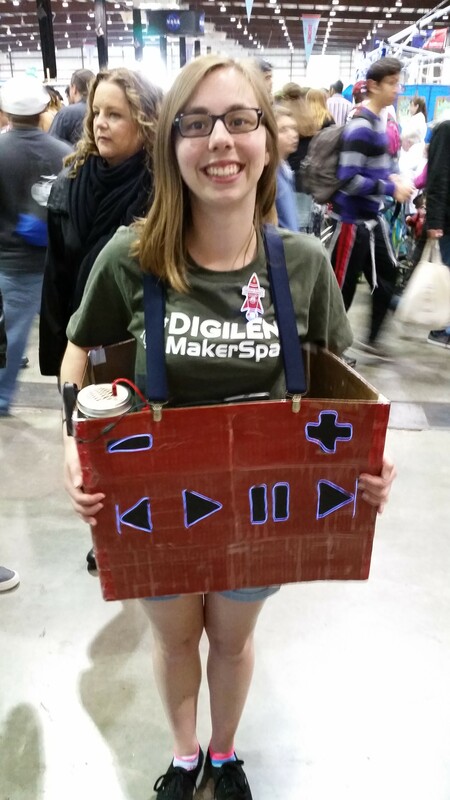 The game was well received at Maker Faire. Being very bright, it caught a lot of eyes as people walked by. Makers of all ages loved playing the game and seeing how many “apples” they could eat. One boy loved it so much he pulled up a chair! Also, a lot of smart questions were asked about how it was designed and some people had cool ideas for improving the project. As far as Snake goes, the next thing we need to add is a title screen with a high score. A ton of people wanted to know what the high score was and all we could do was hold our hands out and guess the length. Another cool (but potentially expensive) idea someone had was to line multiple displays up to achieve a 3-D display. 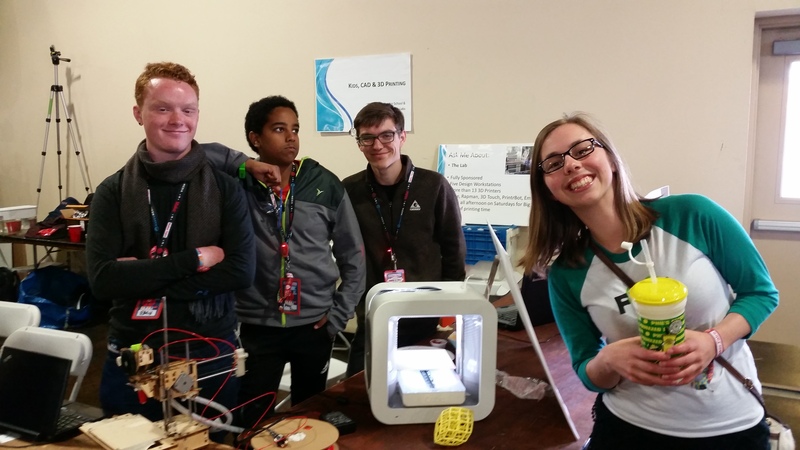 I believe the project not only showed off what we can do but provoked some great thoughts and ideas at Maker Faire! Now that we have this thing to play with in the MakerSpace, Snake is just the tip of the iceberg. The next project we are working on is Pac-man. With a 30×30 grid, there are countless opportunities for projects. Other booths, like Microsoft’s, had a similar grid that they would map a photo of the viewer onto. This could be a fun project as well! Victoria Tegg on BeagleBone Black vs Raspberry Pi 2: Which is Right for You?